Kailey is a Certified Advanced Practice Social Worker with a certificate in Trauma-Informed Care, and is in the process of obtaining certification as a Substance Abuse Counselor. Kailey has experience working with adolescents and adults in various settings with varying levels of behavioral and mental health concerns. 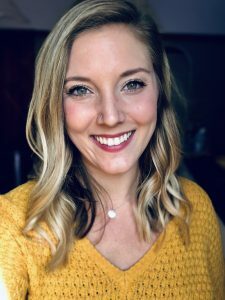 Kailey utilizes an integrative and eclectic approach in her counseling, which means she employs a variety of therapeutic techniques based on the client’s individual needs. Kailey has education and experience in mood and anxiety disorders, trauma, grief and loss, relationship/family concerns, stress management, self-empowerment, personal growth, and many more. She also incorporates brain-body based treatment approaches, such as Brainspotting, to reach a deeper and more accelerated resolution to emotional difficulties. Brainspotting is a therapeutic technique for processing traumas, unhelpful cognitive patterns, difficult emotions, and upsetting events by focusing your visual field on a spot that stimulates processing. (For more information on the Brainspotting process, see https://brainspotting.com/ ). Kailey completed her undergraduate degree in Psychology from the University of Wisconsin-Madison and her Masters of Social Work from the University of Wisconsin-Milwaukee. Kailey’s long-term goals include continuing to integrate Brainspotting to provide resolution for individuals suffering from emotionally upsetting events. Her passion for the field involves empowering clients to regain control of their lives and find satisfaction in the present moment.